Aizuwakamatsu (会津若松市, Aizuwakamatsu-shi) is a city in Fukushima Prefecture, in northern Honshu, Japan. As of September 2014, the city had an estimated population of 122,715 and a population density of 321 persons per km². The total area was 383.03 km². The area of present-day Aizuwakamatsu was part of ancient Mutsu Province, and was settled from prehistoric times. 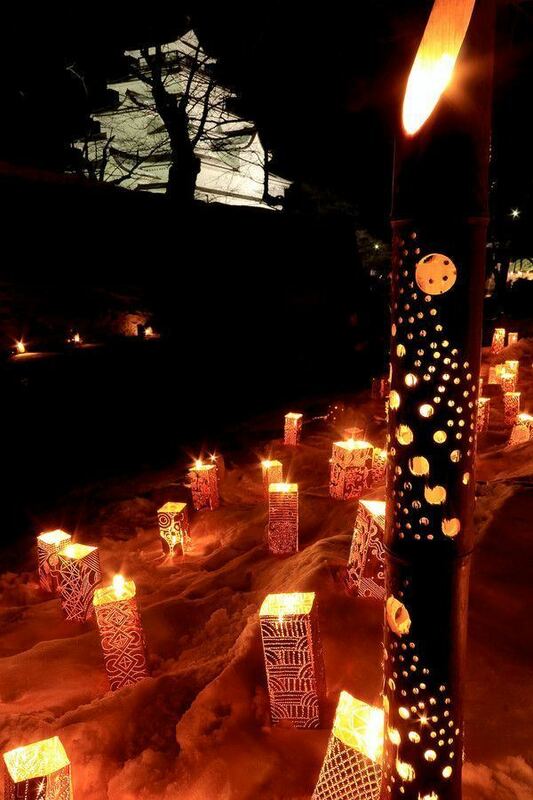 The Aizu-Otsuka Kofun within the city borders dates from the 4th century AD, and is an Important Cultural Property of Japan. 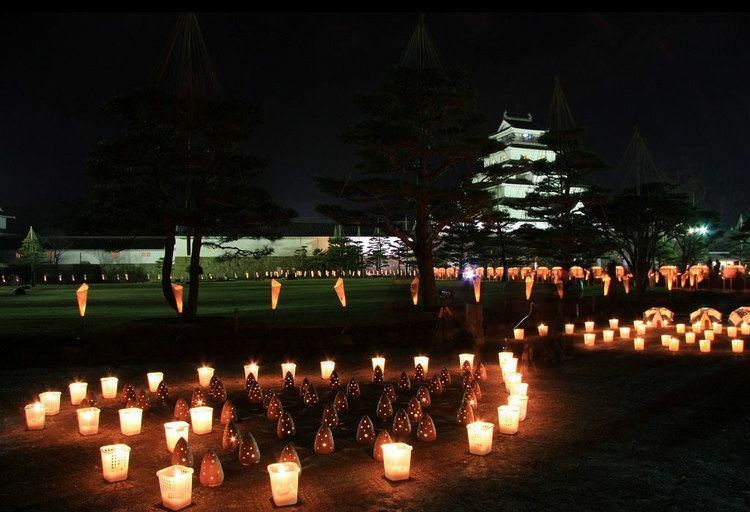 During the Sengoku period and in the Edo period, the area developed as a castle town to Aizu Domain formed part of the holdings of Aizu Domain during the Edo period and was the location of the Battle of Aizu, one of the largest conflicts of the Boshin War. After the Meiji Restoration, Wakamatsu Town was created with the establishment of the municipalities system on April 1, 1889. It became Wakamatsu City in 1899. The name was changed to Aizuwakamatsu in 1955. 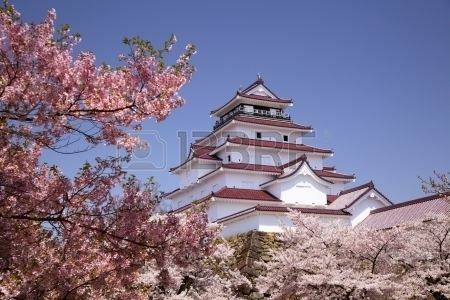 Aizuwakamatsu is located in the western part of Fukushima Prefecture, in the southeast part of Aizu basin. The main transport hub is Aizu Wakamatsu Station. There are 11 administrative divisions (hamlets or 大字 (ooaza)) in the city. Although it is located in an inland valley, Aizuwakamatsu's climate resembles that of the Hokuriku region on the Sea of Japan coast. Snowfall is very heavy during the winter at 4.78 metres (190 in), and snow cover reaches an average maximum of 0.39 metres (15.35 in) and has reached as much as 1.15 metres (45.3 in) for short periods, a figure one would usually associate with much colder regions like the Labrador Peninsula. On April 1, 1937, a part of Machikita village (from Kitaaizu District) was merged into the city of Wakamatsu. On April 1, 1951, the village of Machikita (remaining parts) (from Kitaaizu District) was later merged into Wakamatsu. On January 1, 1955, 7 villages of Kitaaizu District (Kouya, Kouzashi, Monden, Ikki, Higashiyama, Ōto and Minato) were merged into Wakamatsu. And the city's name changed to "Aizuwakamatsu". On April 1, 1955, a part of the town of Hongō (locality of Oya) (from Ōnuma District) was merged into Aizuwakamatsu. On November 1, 2004, the village of Kitaaizu (from Kitaaizu District) was merged into Aizuwakamatsu. Therefore, Kitaaizu District was dissolved as a result of this merger. On November 1, 2005, the town of Kawahigashi (from Kawanuma District) was merged into Aizuwakamatsu. Note: All junior high schools are municipal except for Aizu Gakuhō Junior High School.